The best Mexico Beach Resort was never so affordable. La Concha Beach Resort puts within your reach the most incredible Hotel deals in La Paz along with exclusive packages you cannot miss. With a privileged location 10 minutes from downtown and right at the beach, La Concha Hotel offers you a long list of relaxing, exciting and fun activities. 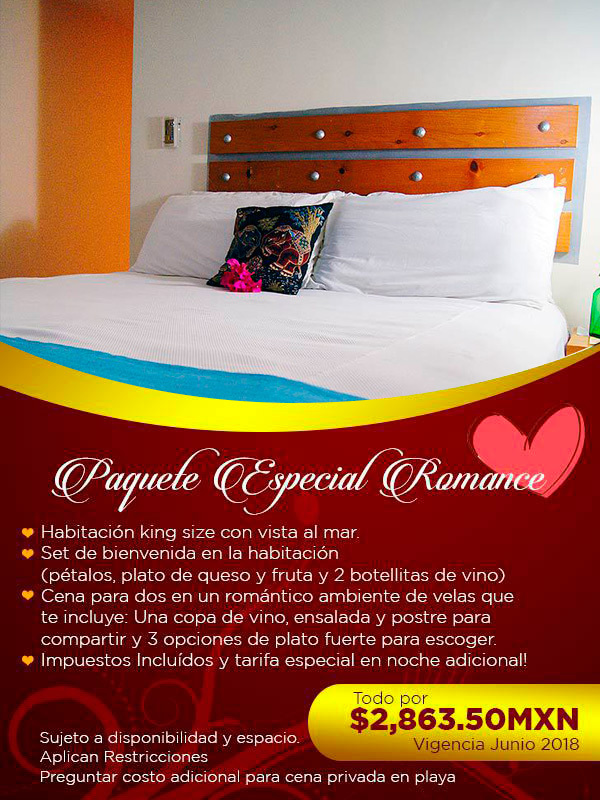 Take advantage of our Specials and Packages and make your reservation now to enjoy an unbeatable location, facilities and services among hotels in La Paz, Mexico. Romantic dinner for two with romantic stile: a glass of wine, salad and a sharing dessert, 3 different main dishes to choose. Taxes included and special rate for an additional night.